Nature: Monkeys, Snails, Caterpillars, beautiful flowers and more!….couldn’t get enough of it! The highlight for everyone was seeing the monkeys. 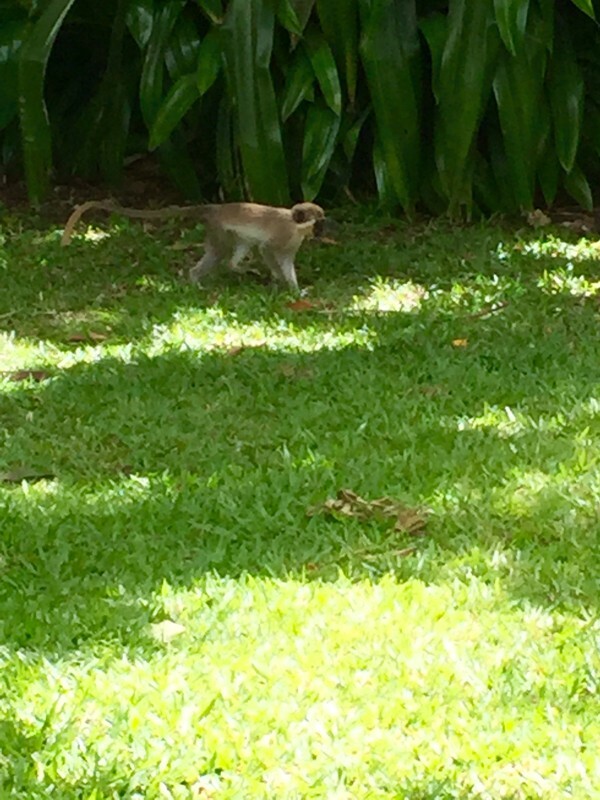 They were just hanging out, eating fresh mango off the trees in the back yard. #LivingTheLife …lol! On a rainy evening with the doors to our bedroom open to the outside, Kariim and I found ourselves intrigued with this snail outside of our door. He was a sneaky little fellow….LOL!